China falls into a freezing winter all over the country except for the south and some places in the southwest. In these areas, the conditions might be warm and sunny, such as Hong Kong, Macau, and Hainan Island. These warm places are comfortable winter escapes for people in colder climates. Snow falls in North China (Harbin, Beijing, Tianjin), and it might feel even colder still south of the Yangtze (Wuhan, Changsha) because the humidity level is high and the buildings are not as well heated. 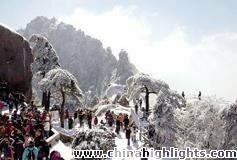 Tourism: December is a low travel season for most areas of China. Tickets and accommodations have lower prices and attractions are less crowded. December is the low travel season (except for Hainan Island and Hong Kong), and it is the quietest time of the year. Travel costs are lower and attractions are less crowded. It&apos;s also a good season to see popular attractions that are covered in snow, providing a totally different view from the summertime. These attractions include the Great Wall, the Yellow Mountains, and Zhangjiajie National Forest Park, among others. 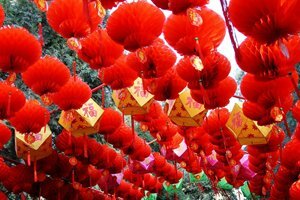 Read more about the Top Places to Visit in China in December. It is very cold and dry in North China. Take Beijing as an example — the average temperature range is -7–3°C (19–37°F) and there is usually just 1 day (3 mm, 0.1 in) of rain in December. As the indoor heating systems are kept on in December in North China, you won&apos;t feel too cold. For Beijing and most other places in this region, it is a low tourism month. The cold wind is biting and snow often covers the ground. Though there is little snowfall, since it is so cold, the snow remains a long time and accumulates. Clothing: You&apos;ll need an extra thick coat and layers of clothing to stay warm, as well as gloves and a warm hat. Wear water-resistant shoes with good traction. 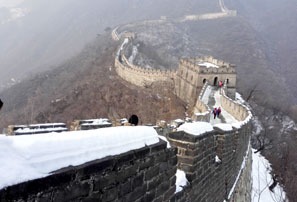 Beijing: If you visit the Great Wall in December, you are very likely to view an amazing scene of the wall and the mountains covered with snow. In addition, there are fewer tourists so you might have the wall to yourself. Harbin: In late December, the Harbin Ice and Snow Festival begins. There, you can appreciate the world&apos;s biggest winter festival for ice and snow sculptures. High-speed trains travel between Beijing and Harbin, taking 7 to 8 hours. Windy, cold, and damp weather drives people inside and most tourists go to other places in December. Hotels and businesses have promotions and low prices. Shanghai usually stays above freezing. The average temperature is 2–11°C (36–52°F) and there are typically only 4 days (36 mm, 1½ in) of rainfall in December. 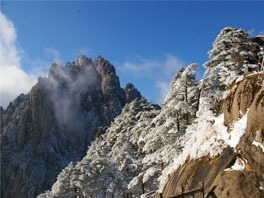 Huangshan: The Yellow Mountains are definitely worth visiting in winter. The different highlights from other seasons are the snowcapped mountains and seeing ice on the pine trees. It is freezing cold and dry in Central China. The buildings might not be heated as there tend not to be any indoor heating systems. It snows several times during the month, and ice and slush may be on the ground, even in areas south of the Yangtze River. High humidity makes it feel even colder than in Beijing to the north. 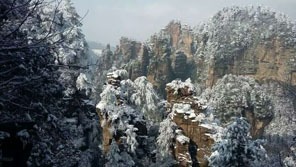 Take Zhangjiajie as an example — the average temperature range is 4–12°C (39–54°F) and there are typically 6 days (28 mm, 1 in) of rainfall in December. Zhangjiajie: The natural parks, such as Wulingyuan in Zhangjiajie, and much of the countryside look beautiful when they’re sprinkled with snow. There are less crowds in December so you can enjoy a quieter travel experience. For those taking winter vacations, extreme southern China is a pleasant escape from the frosty weather. Outdoor activities and sightseeing are a delight. The rest of South China generally has a pleasant winter with plentiful sunshine, but Guilin feels cold because of its high humidity, although it almost never freezes. The average temperature is 8–16°C (46–61°F) and there are, on average, just 4 days (40 mm, 2 in) of rainfall in December. In major contrast to every other big city in China, Hong Kong gets ideal weather: warm, sunny, light breezes, clear skies, and little rain. The temperature averages 16–22°C (61–72°F). Sightseeing, shopping, and outdoor activities are all the more enjoyable when it is dry and sunny. Clothing: A thin coat or jacket and perhaps rain gear are enough but dress in layers and take a thicker jacket when you’re in Guilin, for added comfort. 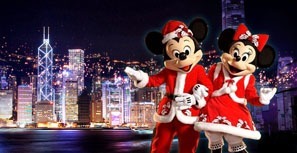 Hong Kong: The biggest highlight in Hong Kong in December is to go shopping on Christmas Day. It&apos;s one of the best shopping places in Asia, especially during the Christmas holiday, and almost every shop has sales promotions. What&apos;s more, with a warm/mild and comfortable temperature, you can enjoy comfortable outdoor activities in Hong Kong. 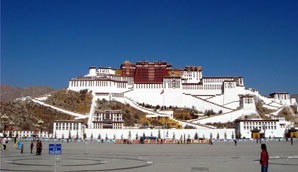 The Potala Palace is quiet in winter. 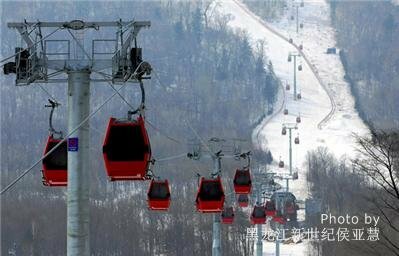 Many areas of West China have cold but pleasant, sunny winter weather, but high altitude areas are frigid. Take Lhasa as an example — the average temperature range is -5–11°C (23–52°F) and there are typically no rainy days in December. December is comfortable and cool to warm during the daytime around the Yunnan region. Kunming, the capital city of Yunnan Province, averages 3–15°C (37–59°F). Lijiang and Dali have freezing temperatures at night. Tropical Xishuangbanna is always warm. 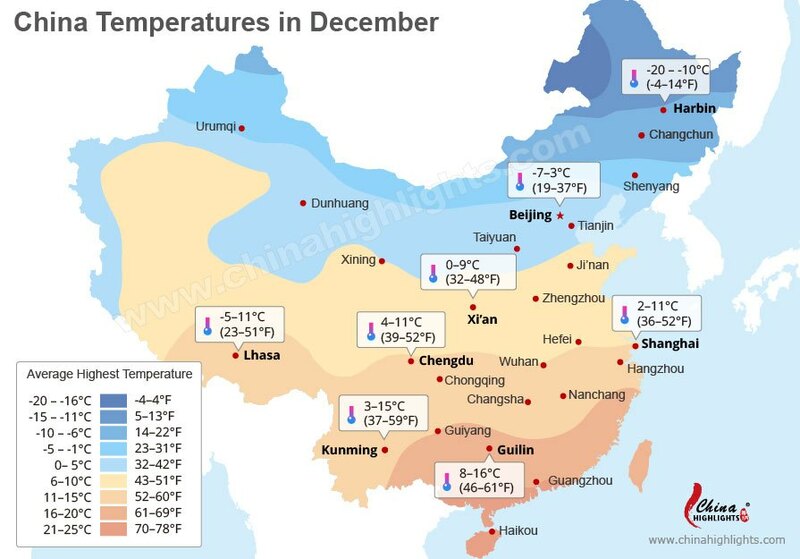 December is not a good time to travel in Xinjiang because it is simply too cold. The temperatures are below freezing and the weather includes heavy snow and forbidding conditions. Clothing: Take your winter coat, gloves, sunglasses, and a hat. For most of the popular places, dress in layers with a coat and head covering during the evenings. You&apos;ll need a heavy coat in the mountains. Tibet: The highlights of Tibet in December include a less crowded travel experience, a lower cost for tickets and hotels, and the beautiful snowcapped scenery. December is the low season for Tibet and it&apos;s a great time to travel if you want to avoid the crowds. When it is sunny, it feels warm because of the high altitude. It hardly snows at all. If you can adjust to the altitude, traveling in the low season is more economical and you&apos;ll experience fewer crowds. Yunnan: Yunnan is a popular travel destination in the summer peak season but December is also a good time to avoid the crowds. You can visit Lijiang Ancient Town and get closer to the local minority people. Alternatively, extend your tour to visit a warmer place, such as Xishuangbanna, which is the southernmost area of Yunnan. 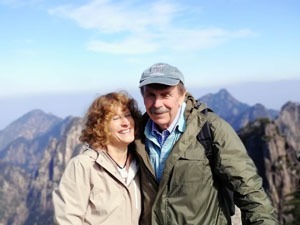 Enjoy a quieter China tour in December. Planning a China trip? 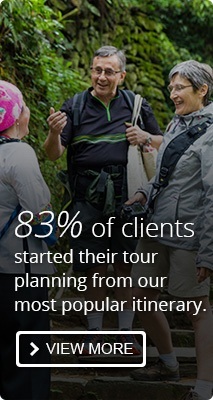 Our travel advisors are happy to give you suggestions and guidance when planning your trip. If you are interested in touring China in December, contact us for help. Let us help you plan a personalized December tour. 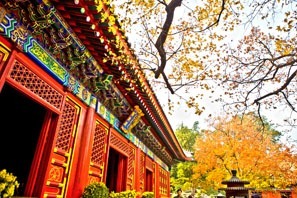 For more suggestions and tips see How to Plan Your First Trip to China.